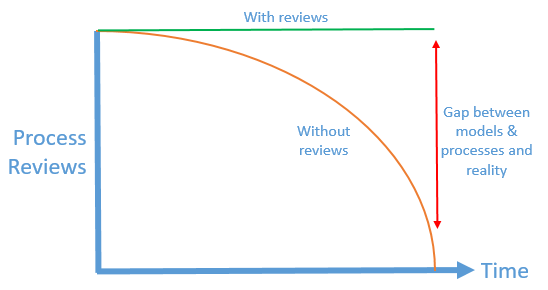 As a result, when individuals and teams try to improve or optimise processes they face a complex web that is hard to decipher and often leads to fewer reviews over time - as illistrated by the reaility divergence diagram below. Once organisations realise this, they sometimes seek a silver bullet that will fix this problem. This may be via a one-off process mapping exercise (again), implementing robotic process automation (RPA), acquiring new tools and applications, or doing nothing as the perceived risk of acting outweighs the potential benefits. Take an organisation that wants to improve process efficiency and believes that using RPA to automate 100s of manual processes is the answer. Its business leaders agree this approach and start to move forward. However, it quickly becomes clear that no one understands the current processes and therefore they are left guessing about where to start. Not only this, but through a process of randomly selecting processes they are never quite sure that they are working on the ones that are going to deliver the biggest improvements, or any improvement at all. In another instance, due to a lack of visibility of their processes an organisation may assume that their tools and applications are not up to the job. As they start the replacement process, they may again - as in the previous scenario - realise that it was a flawed assumption as they have little understanding of their current processes. With a lack of visibility of current processes, it is important to start by gaining foundational insights that will form the basis for decisions about how you move forward. But how do you achieve this? Start by looking at the as-is process models, identify areas and candidates for improvement and then work out how you are going to improve them. Let’s go into this in a bit more detail across 3 phases of work. 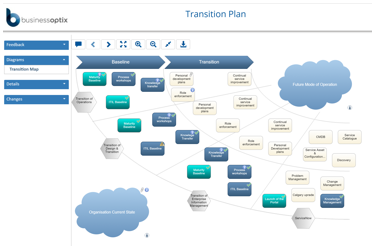 To support your initiative use transformation-maps (‘t-maps’) to plan (see sample 4 below) and execute your activities and dashboards (see sample 5 below) to illustrate progress – t-maps and dashboards can be directly linked to operating and process models to create seamless access to aggregate views of process data and lower level details providing a strategic view of a business transformation and metrics showing progress toward completion. 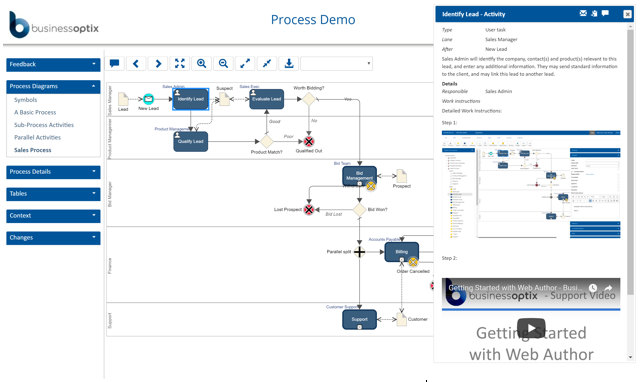 Using the captured processes and insights, create reports that illustrate process types and performance (see sample 6 below). Through analysis of these insights, identify and prioritise the best candidates for change e.g. those that have the most manual steps (see sample 7 below), high lag time, unidentified task steps, use older non-performant systems, or other criteria that you set for ranking processes. Once candidate processes have been prioritised, validated and selected you can start to take decisions about required changes e.g. new flows, automation etc. and how you will implement the changes e.g. 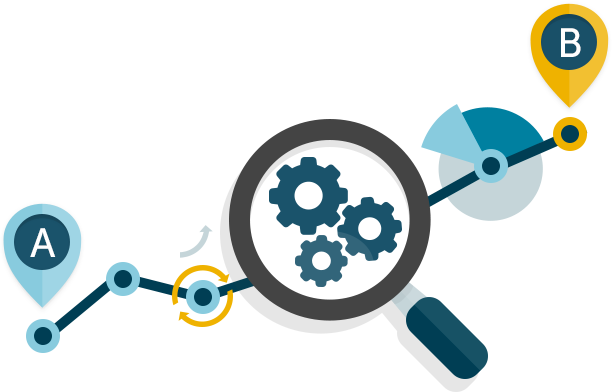 experiment, optimise or re-engineer, convert processes to RPA, upgrade or replace existing tools or applications. 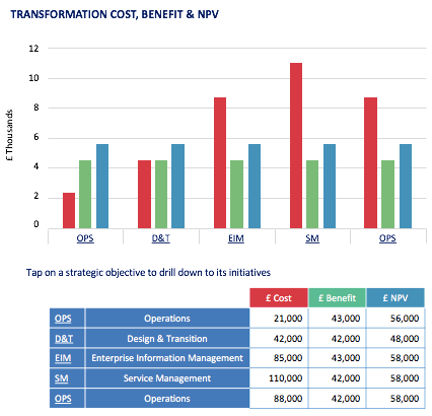 With a view of the potential changes demonstrable measures of improvement, ROI and metrics can be added to illustrate the targeted benefits (see sample 8 below). 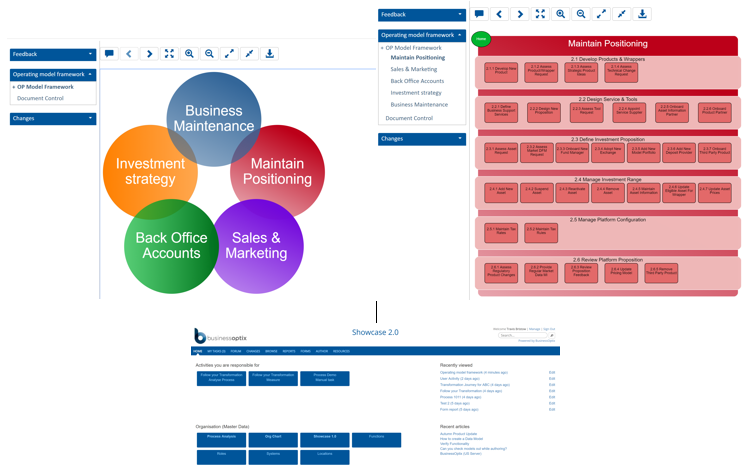 Having passed the initial review phase and confirmed candidates for change, detailed work to deliver the processes can begin – from requirements gathering including writing users stories (see sample 9 below) to guide the development process to creating work instructions (see sample 10 below), training materials and any regulatory guidance to support end users, and deployment of the new processes. Again, the planning and tracking of this can be supported by t-maps and dashboards. Once live you should be able to manage and evolve your processes so they are continuously adapted and optimised as you experiment, learn and or regulations change. 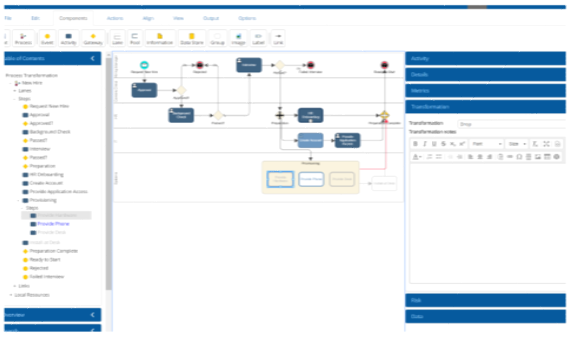 On the point of experiments, you can create digital twins of your processes and use these to help adapt and optimise your processes in a test environment before placing them into live. 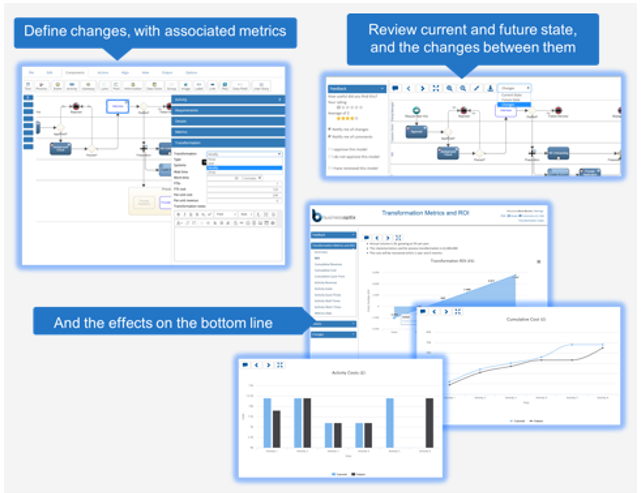 In this mode, while your processes operate in live you will be able to use scenarios and simulations to run experiments on a range of potential changes. So if you think removing a step will improve efficiency or that further automation will increase team bandwidth you test these and capture the data to see the potential impact before making any changes in your live environment. 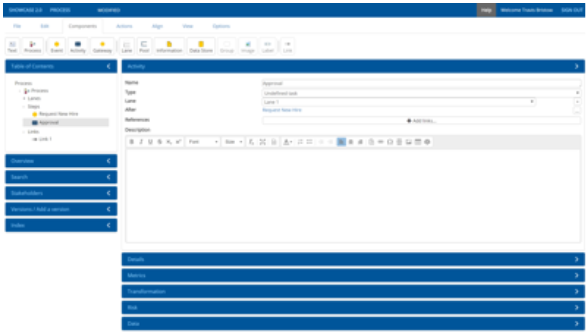 Going back to the topic of process visibility, you will now have a record of all the changes you make and the impact these changes made; a canvas for exploring new opportunities and continuous improvement; easy access to the latest work instructions, training material and regulatory guidance, and an easy way to identity any changes that need to be made in future. Most importantly, you will have an easy way to encourage your team to document, collaborate and share knowledge so the aforementioned situation does not occur in the future. And you are better able to achieve your organisation goals faster, at reduced cost and lower risk of jumping into the unknown. For more about the BusinessOptix platform, please visit: www.businessoptix.com.